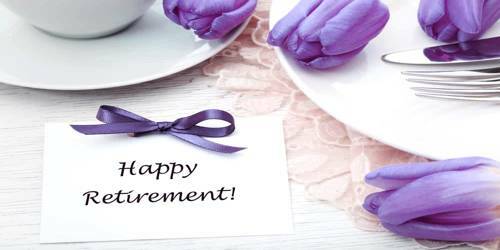 It is tough for me to write this letter about your retirement. Your 25/30/40 years tenure with the company is about to end, but you will always remain special for us. (Describe in your own words). You have served the organization with sheer dedication and honesty. The way you have handled the (Department name, e.g., accounts department) is commendable. All the staff members respect you a lot for your timely support when they needed it the most. (Cordially describe your greetings). I am grateful to you for your contribution to the organization, and I am left with no words to appreciate your sincerity with us. The following is the email format to be followed while writing a retirement appreciation letter. After 20/25/30 years of your service here, at (Company Name) as the (Job Designation,e.g., Vice President), it is hard to believe that you have retired. It is tough for me to see you going today, but congratulations on your retirement. (Describe in your own words). During your tenure, our company has witnessed numerous turbulent situations. You ensured a sound solution to each such problem with your dedication, discipline, and hard work. (Cordially describe your greetings). We are grateful for your dedication and are left with no words for appreciation. Your efforts have helped this company grow to the position it enjoys today. We hope you have enjoyed being here. Your absence will be greatly felt by all.